This series of sailboat races was started by Chuck Harney and John McConnico [Owner – Yankee Point Marina] in 1989. The marina is located in Lancaster, Virginia just off the Rappahannock River. 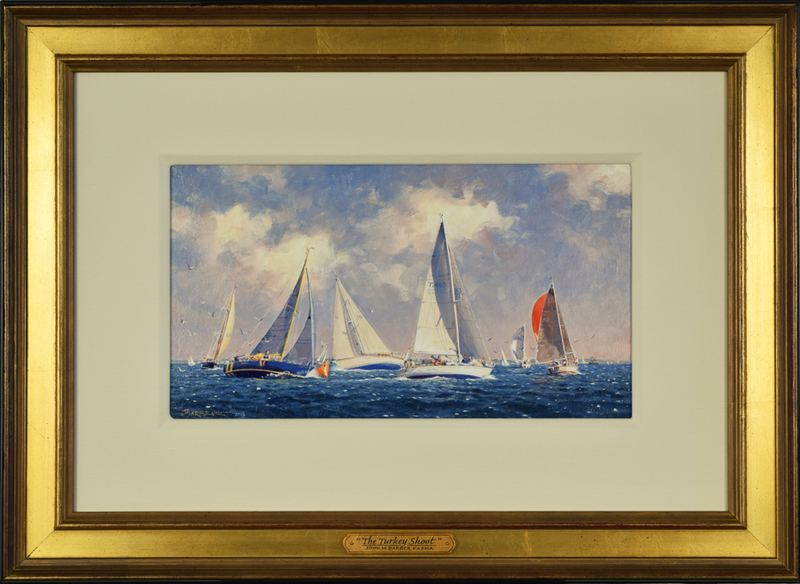 The regatta attracted modern as well as vintage sailing vessels and became very popular in the lower Chesapeake with 141 boats participating in 2010. The event is now the single largest provider of funds for Hospice Support Services of the Northern Neck of Virginia, and it was moved from Yankee Point in 2013 to the Rappahannock River Yacht Club in nearby Irvington, Virginia. 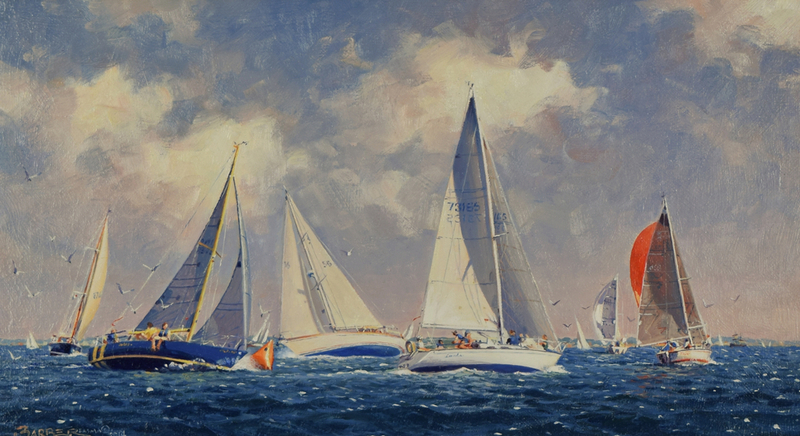 This painting was recently done from the Saturday 2012 race as the fleet rounded the windward mark on the Rappahannock River. While perhaps not exactly accurate in the placements of the boats, I attempted to capture the excitement of the event. We see in the lead of the downwind leg Chupacabra, followed closely by Play It Again, L’eaudanse, Marijo, Manitou IV and Desperado. My apologies to boats that were in the fleet but did not appear in the painting. Beautifully presented in a custom-made gold frame with linen liner. As with all originals purchased directly from me, this piece comes with a handsome “House of Troy” painting light attached – complimentary. [$60 value].